Corporates can support and strengthen the FoodBanking endeavour by developing new food banks or supporting existing ones to feed the poor by integrating food banking into the organization’s CSR initiatives. We take utmost care in efficiently allocating the resources, and ensure that they are channelized towards the most needy people of India; thus, transforming your corporate involvement into impact. Join IFBN’s Advisory Board and extend your corporate leadership to expand the network of Food banks to Stop Hunger in India which affects 195.9 million people. 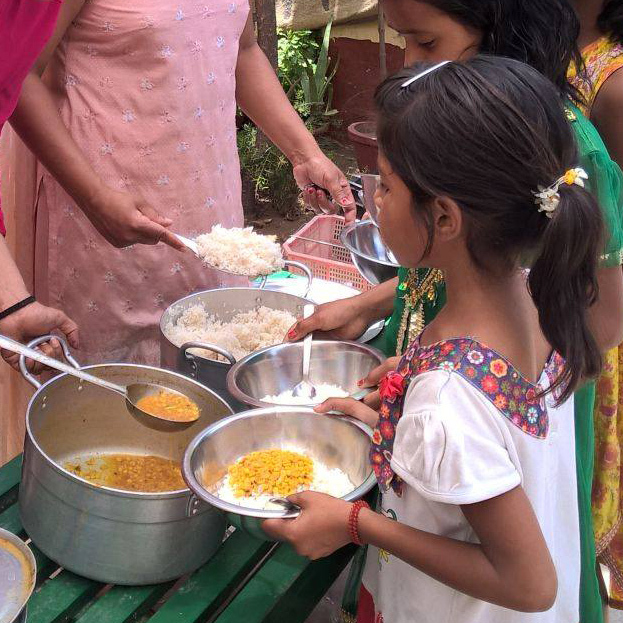 India FoodBanking Network depends on the financial support of organizations to deliver practical and proven solutions that get food to hungry children and families and favourably impact their health, education and productivity. Your financial contribution today will help build and strengthen the food banking systems nationwide and feed millions of people by rescuing and channelizing surplus and donated food. Partner with IFBN and run a FoodBank under your corporate leadership. FoodBanks are a great initiative for your company to extend its CSR programmes and engage employees in CSR activities to touch millions of lives by putting an end to their hunger. IFBN encourages volunteers to join us in the fight against hunger and to help increase awareness. We engage employees as volunteers in IFBN as well as at the FoodBanks, for the service of those in need. At IFBN, you can contribute your special skills to perform functions such as Supply Chain Management, Quality Assurance, and MIS development. Food banks also offer great opportunities to contribute time and skills, understand how hunger impacts communities, work with local volunteers, and make a difference. Together with IFBN, corporates can design and implement in their region of operations, a food security and nutrition program to support better health and performance outcomes for children, women and men.